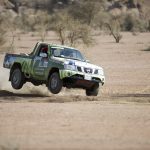 FES, MOROCCO – The 2018 edition of the Rally of Morocco, penultimate round of the FIA’s World Cup for Cross-Country Rallies, drew to a close with the 198 km-long 5th stage, which saw the teams return to the city of Fes. 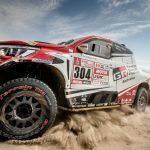 Toyota Gazoo Racing SA’s Nasser Al Attiyah and co-driver Mathieu Baumel set the 7th-fastest time on the final stage, securing overall victory in the process. The Toyota Hilux crew have now won the Rally of Morocco five consecutive times – more than any other crew before them. 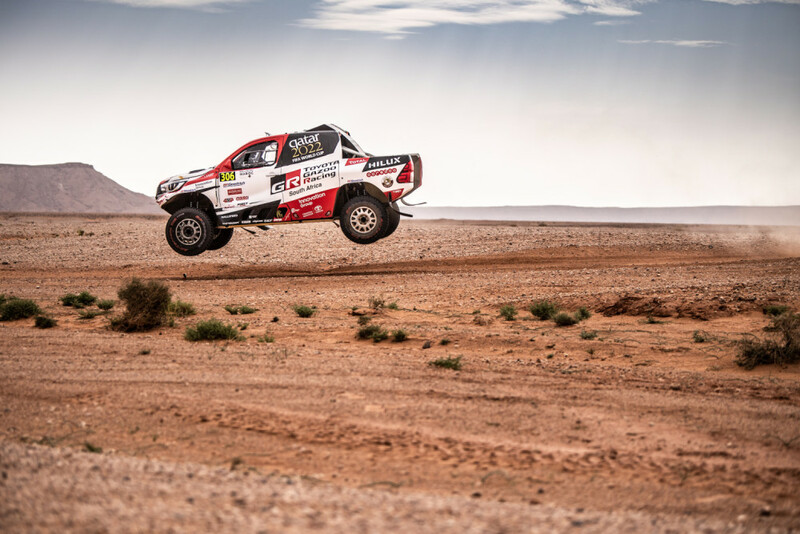 Frenchman Jean-Louis Schlesser recorded three consecutive wins, while Giniel de Villiers and Stephane Peterhansel have each recorded back-to-back victories. With five consecutive wins, Al Attiyah has set himself apart, and proven why he is considered one of the best motor sportsmen in the world. 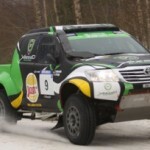 The Qatari, together with his French co-driver, set about the their task in Morocco with grim determination. They won the short, 10 km-long prologue, and then followed up with wins on Stages 1 and 2 of the rally. By Stage 3 they were already well clear of the nearest competition, and managed the race from the front. 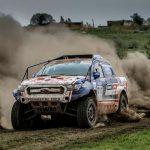 Stage 5 saw the victorious pair cruise home, setting only the 7th-fastest time, but doing more than enough to claim a fifth consecutive title – their third in a Toyota Hilux. The final stage also brought some joy for Al Attiyah/Baumel’s teammates, who had mixed experiences during the preceding stages. Tricky navigation, a broken wishbone, a roll and getting stuck in a muddy hole for 45 minutes were just some of the challenges faced by De Villiers and new co-driver Alex Winocq; as well as Bernhard ten Brinke and his new co-driver Xavier Panseri. De Villiers/Winocq lead through most of Stage 5, which brought the rally full circle back to Fes, where the race had started on October 4th, 2018. In the end, however, the Toyota Gazoo Racing SA pairing were pipped to the post by MINI’s Carlos Sainz, who had had a torrid race himself. El Matador, as he is also known, set a time of 02:27:47 – beating De Villiers/Winocq by 01:03 – an amazingly close fight over such a long distance. Just 27 seconds separated De Villiers/Winocq from teammates Ten Brinke/Panseri at the end, with the Dutchman and his French co-driver setting the 3rd-fastest time on the day. A strong closing stage saw Ten Brinke/Panseri move up to finish in 6th place overall; while De Villiers/Winocq was classified in 20th place, after suffering a massive penalty for retiring on Stage 4. 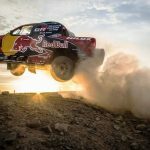 In the end, the Toyota Hilux of Al Attiyah/Baumel was followed by the MINI of Jakub Przygonski and Tom Colsoul in second place. 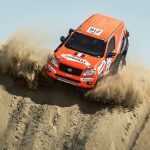 The pair were also crowned the new World Champions during the Rally of Morocco, as their only remaining challenger, Vladimir Vasilyev (Toyota Hilux) was unable to complete the race. Third place in Morocco went to MINI’s Cyril Despres and Jean-Paul Cottret. Toyota Gazoo Racing SA will next be in action at the final round of the South African Cross-Country Series, which takes place over the first weekend in November. The Gold 400, as the event is known, will be run in the area around the Gauteng mining town of Glen Harvie. 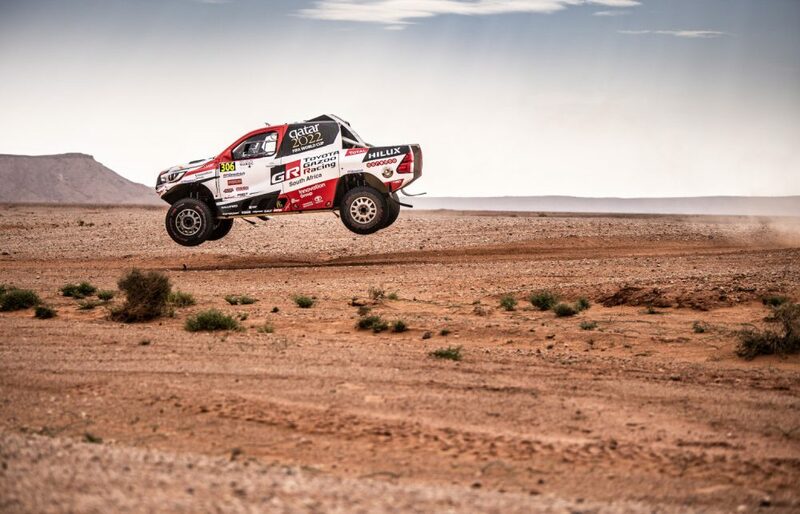 Giniel de Villiers and teammate Henk Lategan are separated by only ten points at the top of the Production Vehicle Category – so there is a massive battle yet to play out before the South African season is over.